Filed to: hockey!Filed to: hockey! The NHL General Managers are meeting this week in Boca Raton, FL, and one of the major issues on their agenda is how to increase the number of games that are resolved before a shootout. Currently, there are two ideas floating around on how to increase the number of overtime goals, and thereby prevent shootouts. Here, we'll take a look at what seems like the more popular of the two. What Will The NHL Do About Shootouts? First, a recap: The first proposal would change the format of overtime to include 3-on-3 action if a goal isn't scored in 4-on-4. The second proposal, which has been gaining steam, is to keep the overtime as it is, but have the teams switch sides so that each team is defending the goal farthest from their bench (which, in hockey-speak, is called the "long change"). The idea here is that skaters are more likely to get stranded in their defensive zone, and tired defenders means more goals. The major question regarding the second proposal is how many more goals would be scored in overtime under the changed rules. Regular season NHL data from 2007-08 to 2012-13 show that goal-scoring rates are much higher when the teams are subjected to the long change. I find that simply by switching sides in overtime, the number of shootouts in a 1,230-game NHL season will drop from about 166 to about 109. In every NHL game, the first and third periods are played with a short change (each team defends the goal closest to its bench) and the second period is played with a long change. To analyze the consequences of the long change, I compared goal-scoring rates between the first and second periods of six seasons' of NHL regular season games. I ignore the third period because goalie-pulling at the end of the game causes goal rates to spike, and because score effects take hold most strongly in that period. Just looking at goal totals, it's clear that offensive production goes up in the second period. In the 4,758 games with usable data, there were 7,762 goals scored in the first period and 9,087 goals scored in the second period. This translates into an average rate of 1.633 goals per first period (plus/minus 0.036 goals) and 1.910 goals per second period (plus/minus 0.038 goals). This suggests, at least initially, that we can expect an uptick in overtime goals if this proposal is implemented. However, most of regulation is played at 5-on-5. Since full strength in overtime is 4-on-4, it makes more sense to break out the goal-scoring rates based on number of skaters on the ice. The graph below shows the differences in goals per minute for all possible configurations of skaters on the ice, as well as tied-score situations versus all situations. The red dots are the goals per minute in the short-change first period, and the blue dots are the goals per minute in the long-change second. In all player-strength and score situations the long-change second period generates higher rates of scoring. (Note that 3-on-3 data is omitted because there were fewer than five minutes of 3-on-3 hockey played in the 4,758 games.) The graph makes it even more clear that a change in the overtime rules should decrease the number of games that make it to the shootout. If the rules were changed we should expect that the average number of goals scored during 5 minutes of 4-on-4 overtime would jump from 0.340 to 0.399, a 17.4 percent increase. This is based on 1560 minutes of 4-on-4 in the first period and 2106 minutes of 4-on-4 in the second. In tied games, it was 763 minutes in the first and 556 minutes in the second. Translated into probabilities, the chance that an overtime game goes to a shootout drops from 71.2 percent with a short change to 67.1 percent with a long change. If a team took a penalty in the overtime, the probability of the game ending during a full two minutes of 4-on-3 increases from 23.9 percent to 27.0 percent. We can use this information to examine how many past shootouts would have ended in overtime if the rules were changed. In particular, I used the full second-period scoring rates reported above to re-simulate the overtimes of the 711 games that went to a shootout over our six-season sample size. Each game was simulated 10,000 times, and the simulations were based on the real-world data of how many players were on the ice at each moment in overtime. The graph below shows the percentage of the 711 shootouts which would have been resolved in overtime if there were a long change. The graph shows that we should expect that 34.29 percent of the games that go to a shootout under the current rules would instead be resolved by a game-winning goal in overtime (plus/minus 3.45 percent). In other words, if the NHL GMs adopt the proposal to make regular season overtimes use the long change, the number of shootouts in the 1,230 game season would drop from about 166 (13.5 percent of games) to about 109 (8.87 percent). Obviously, this analysis isn't and can't be informed by all the different tactical changes that would be in effect for an overtime period, but the data are consistent enough that a significant effect should come through. Whether or not that's enough of a dropoff in shootouts for the league is another question entirely. Stephen Pettigrew is a PhD candidate at Harvard University, where he studies political science and American politics. He also has a master's degree in statistics from Harvard. In his spare time he writes about sports analytics, particularly in hockey and football. Are Outdoor Hockey Games Really Sloppier? 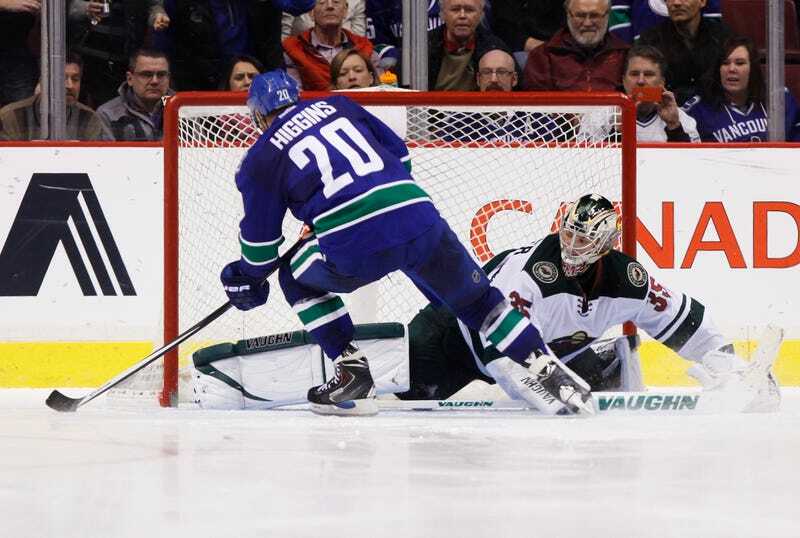 Are NHL Teams Better Or Worse In Must-Score Shootout Situations?